sd00:25FORMER U.S.S.R. - CIRCA 1950-1960: Mourning in the USSR. 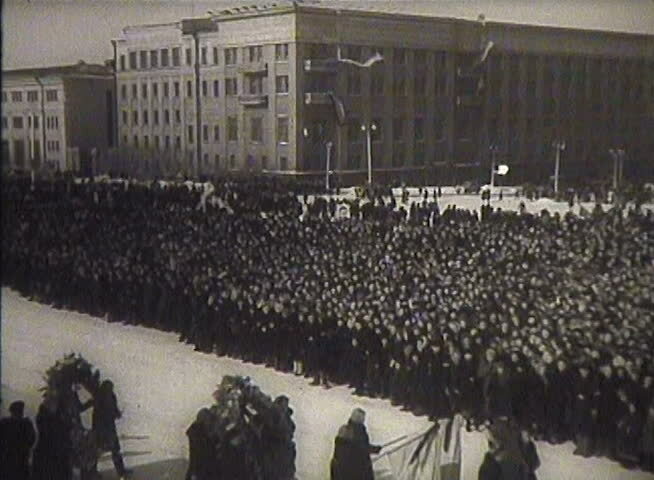 The funeral of Stalin March 1953.
sd00:481950s - Soviet air force in the 1950s. hd00:56MECCA, SAUDI ARABIA - february 2019: Crowd of people walking around Masjid Al Haram in Mecca. Muslim pilgrims circling around the holy Kaaba at day during Hajj inside al Masjid al Haram in Mecca. hd00:22Time lapse video of Muslim pilgrims circling around the holy Kaaba at night during Hajj inside al Masjid al Haram in Mecca, Saudi Arabia.